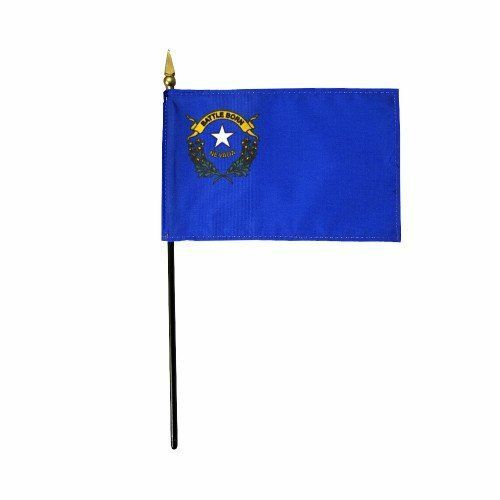 AmericanFlags.com is proud to carry Nevada State Flags in a variety of materials, and styles, in sizes ranging from 4 IN X 6 IN to 12 FT X 18 FT. All of our Nevada flags meet official specifications, are on sale right now and are ready for immediate shipping to your door. Nevada became a member of the United States during the Civil War, a fact that is represented on its state flag with the words, "Battle Born." 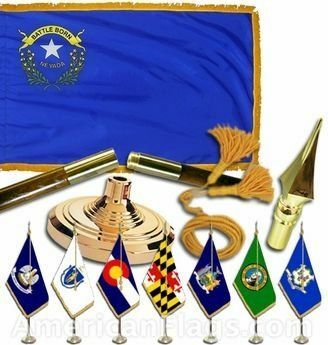 The flag, with its deep blue background and wreath of the state's flower, the sagebrush, in the upper left corner, was officially adopted on March 26, 1929, and revised on June 8, 1991. 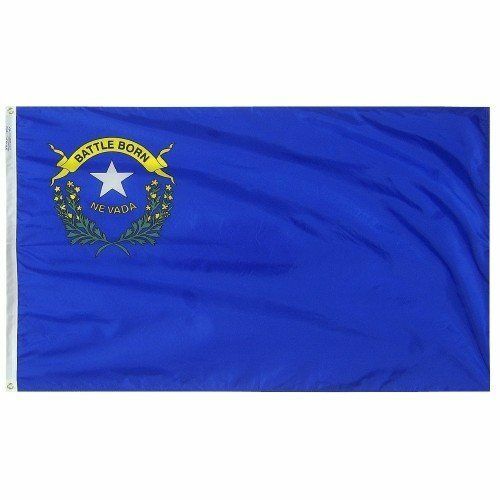 The silver star that appears above the state's name symbolizes Nevada's rich mineral wealth.